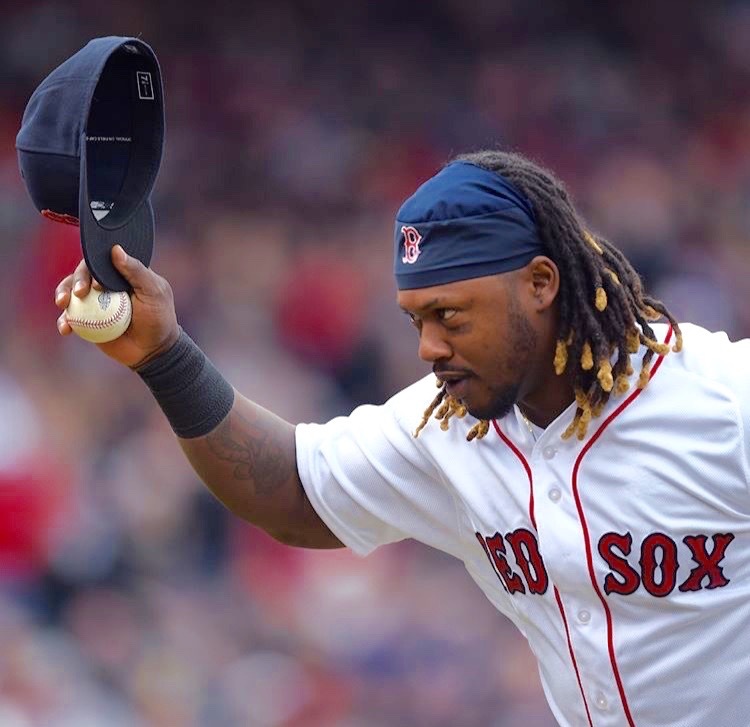 All indications are that the Hanley Ramirez Era in Boston has come to an end. With today's designation of the 1B/DH by the Red Sox, the team has seven days to either trade him or release him outright. Hopefully, someone will agree to a trade for a useful player—which would mean John Henry will still likely pay the bulk of the $15 million left on Hanley's 2018 contract (but do you really care about Henry's wallet?) Perhaps more importantly, the Red Sox will be out from under any automatic vesting option for next season—for which $22 million would kick-in after he reached 497 at-bats this year. Let's take a look at the fullness of Hanley's Red Sox career. I can vividly remember watching the 21-year-old Hanley (clad in green on St. Patrick's Day) playing in a 2005 Spring Training game for the Red Sox. Aside from a two at-bat "cup of coffee" in the 2005 regular season, all of his meaningful playing time came in the four (plus) years between 2015 and last night. In 431 games in Carmine Hose, Hanley hit .260 with 78 HRs and 255 RBIs. He posted an OBP of .326, with a .450 slugging percentage and a .776 OPS. In the rest of his career (nine seasons with the Marlins and Dodgers), he hit .300 with 191 HRs and 654 RBIs. His non-Red Sox OBP was .373, with a .500 slugging percentage and an .873 OPS. Clearly, as he aged (he's now 34), his production declined. He did, however, bring an energy and spirit to the team that will be missed. Who can forget his gesture on April 2nd of this year in Miami—promising a kid a jersey if he homered, then delivering? We wish you the best, Hanley!